Torbal balance has bounced over 100,000 miles. This well-traveled Torbal balance has bounced over 100,000 miles of dusty, bumpy roads and still has its high accuracy and sensitivity.This standard TORBAL DWL-2-1 balance travels inside a mobile chemical laboratory which so far has ranged from Connecticut to Florida, New York to California nad 30 other states in between. The purpose: on-site evaluation of a given municipal, industrial or commercial raw water treatment problem. The water treatment laboratory was developed by the research personnel of Johns-Manville’s Celite Division. 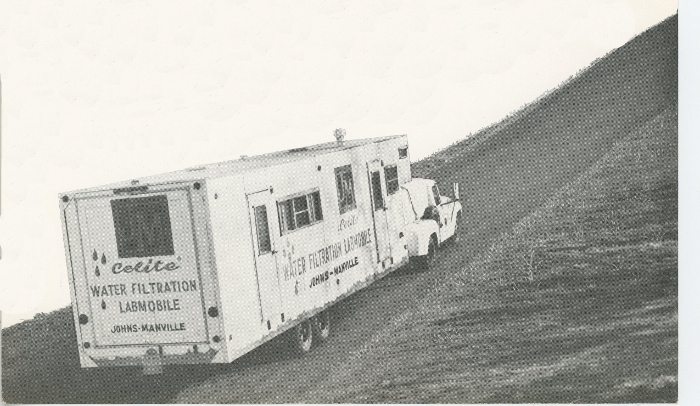 Initially the Labmobile was to be equipped with a conventional knife edge balance. However, Johns-Manville engineers were concerned that the balance might not stand the shock of starting, stopping and bouncing associated with over-the-road travel, frequently onto unimproved roads, and the vibrations caused by the operation of the Labmobile power plant and pumps. They found their answer in the use of a TORBAL DWL-2-1 Torsion balance. All Torbal balances utilize a torsion fulcrum mechanism which eliminates the need for knife edges. There are no bearing surfaces nor other points where one component moves in contact with another. Therefore the mechanism is virtually immune to the effects of vibration, jarring and jouncing. 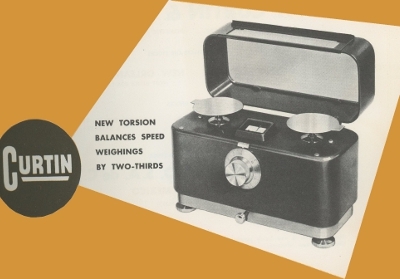 The TORBAL balance has also been found to give more rapid weighings than the knife edge type. Only two dials permit instant readings from 9 gm to thousandths of a gram. The balance is secured quickly and easily for travel in three minutes. No maintenance or service has been required since its installation over 18 months and 100,000 miles ago. You may not need a balance for travel. But if you want a rugged, trouble-free balance that retains its accuracy and sensitivity under all conditions, investigate a TORBAL balance first. Write for literature, or for demonstration.